Fishers Indiana is located within two townships: Fall Creek and Delaware. The city of Fishers is entirely located within Hamilton County, Indiana – despite spanning two townships — and the city is considered to be an Indianapolis suburb. It has also experienced a big boom in growth in recent years. The estimated population as of the 2010 census was just 76,794 but by 2017 the number of people in the area had grown to over 91,800 people. Because of rapid population growth, among other factors, Fishers was able to transition from a town to a city in 2015 following a 2012 referendum on whether to make the change. This meant that the city now needed both a clerk as well as a city council member, both of whom were sworn in for the first time in 2014. As of the most recent census, the median age in Fisher, Indiana was 33.2 years old. A total of around 5.5 percent of the residents of Fisher were aged 65 or older. Many of the older residents in Fishers will end up needing more help and support, and will need guidance to address issues that can arise as they age. Frank & Kraft can provide the help that you need to take advantage of benefits, understand your rights as a senior, and prepare for whatever the future holds. 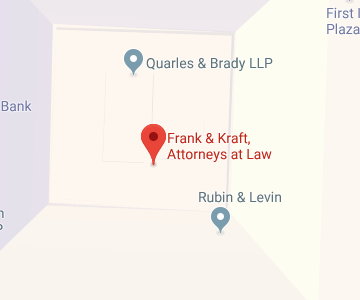 You should give us a call to find out about the personalized help and advice Frank & Kraft can provide to you if you live in or around Fishers. You can also read on to find some key elder law resources that could impact your quality of life and potentially help to ensure you get the support you require. Seniors often come to require various types of community-based support to help maintain social connections, foster independence, and achieve good health. The good news is, there are resources in Fishers that older residents can take advantage of. Care management to help seniors and their loved ones to effectively coordinate care. These are just a few of the key services that seniors in Fisher may need as they begin to get older and experience more challenges due to their age. More intensive help and support may also become necessary for some seniors, which is why Frank & Kraft provides help to aging Fishers residents in qualifying for Medicaid coverage. Qualifying for Medicaid can be important because Medicare and private insurance providers do not pay for nursing home care in a number of situations where Medicaid does provide coverage. While Medicare and private insurance restrict their coverage only to situations where a senior needs skilled nursing home care, Medicaid can provide coverage for custodial care – which is the kind of care that often sends people to nursing homes. Indiana’s Medicaid portal:You can sign in to member services if you are an existing member, determine if you are eligible for benefits, and apply online for Medicaid coverage. The website of the Indiana Department of Insurance: This website has a Medicare page dedicated to providing insight into all of the different questions that you may have about Medicare. This includes what Medicare is, who is eligible, how and when you can enroll, what Medicare does and does not cover, and what your rights are as a Medicare patient. Frank & Kraft will work with you to determine whether you should make a plan to get Medicaid to cover your care as a senior and can help you to make a Medicaid plan so you can get the coverage you need when you need it – without first having to impoverish yourself to obtain means-tested benefits. Many Fisher residents will find themselves someday going to probate court to secure guardianship for a loved one or to probate a last will and testament after a loved one’s death when no estate plan was in place. Because Fisher is in Hamilton County, Indiana, the correct court will be the Hamilton County probate court. This court is located at 1 Hamilton County Square, Suite 313, Noblesville, IN 46060. You can visit the court’s website in order to obtain important information including the local rules, the hours the court is open, the phone number to reach the court, and the holidays that the court observes. There are also court forms you can access and complete before going to probate proceedings – but it is a good idea to have a lawyer to help you finish up any paperwork you are faced with. Fishers, Indiana elder law attorneys at Frank & Kraft will be there to help you every step of the way as you look ahead towards your future. Whether you want to plan to avoid probate, are going through probate proceedings because a loved one has died, are making plans to qualify for Medicaid, or you need any other senior services in or around the area, you should reach out to our compassionate and knowledgeable legal team. Our firm puts people first and we will work tirelessly to help you get the resources and support you deserve as we assist you in making the most effective use of legal tools to protect yourself and your loved ones. To find out more about how our firm can help you, join us for a free seminar. You can also give us a call at 317-684-1100 or contact us online at any time to learn more.